of 1832 circa 1900. Bettendorf is home to a large family museum, public library, and multiple city parks. Bettendorf offers a small town atmosphere while still being large enough to host many activities for a population of over 33,000. As a well developed city that has much to offer, Bettendorf, IA is a great place to build a post frame building. Whether it be a home, barn, commercial building, machine shed, mini storage, garage, or a hobby shop, Greiner Buildings can construct the perfect post frame building for you in Bettendorf, IA. 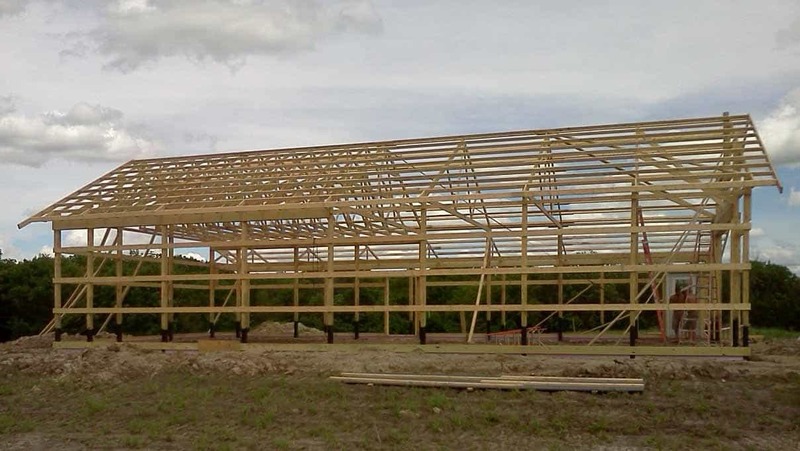 Quick Construction Time: It doesn’t take long to put up a post frame building, especially with the highly trained and experienced professionals at Greiner buildings. We can have a frame put up for you in no time! Energy Efficiency: The shape and design of post frame buildings provides incredible insulation, which will help to lower your energy costs. Affordability: For post frame buildings, minimal materials and equipment are needed. With the short amount of time that it takes to construct, labor costs will decrease. Also, wood materials are less expensive than steel frames. Versatility: Pole buildings are incredibly versatile because you can add virtually anything onto them! Garages, four season rooms, and other extensions are easily put in place. Quality: At Greiner Buildings, let us give you peace of mind about the quality of your home or workplace. Our building experts are devoted to quality work and to customer satisfaction. Long Life: The materials that we use for post frame buildings are stable, secure, and will last for years to come! Not only do we construct post frame buildings, but we also can help you design your very own custom home. Greiner Buildings also offers home repair services for residents of Bettendorf, IA. Contact us today to learn more about how we can best be of service to you. Our team looks forward to working with you!